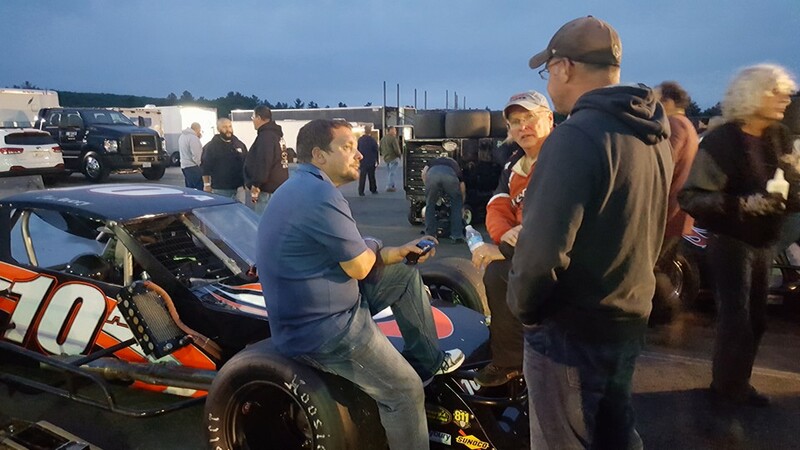 The Racing Times (AROUND THE TRACK): MEET STASH BUTOVA "THE MAGIC MAN"
MEET STASH BUTOVA "THE MAGIC MAN"
Meet Uncasville, CT Stash Butova, the most sought out Crew Chief in New England. Butova began attending races as a young kid with his dad, who was working on Moose Hewitt's modified at the time. When he turned 16, Butova found himself working for Art Barry (Spearpoint Auto) packing bearings and stuff. His first Crew Chief job was with Zack Sylvester with his Pro-Stock operation before moving up to the SK Modified ranks a year later. Jump to 2017 you'll find Butova running around the pits at the Stafford Speedway with a handful of teams led by Ronnie Williams. Williams (Family Owned #49 SK Modified Team) is his number one driver followed by Dan Avery and Glen Reen both SK Modified drivers as well at the Speedway. Not only will Butova over see William's Family SK Modified but will work with William's in the Jenson Brother's MRS #79 Modified as well as JR Bertuccio Modifed at Riverhead Raceway. Butova is no stranger to the Bertuccio Modified as he took JR to victory lane during Speedweek at the New Smyrna Speedway. "New Smyrna is an easy track to figure out, its slightly banked and has allot of grip. To win during Speedweeks is kind of special being in the winter months and so early on in the year," commented Butova. Butova basically has no life during racing season as he will travel down South to help Bertuccio on the SMRS Tour then back up North for Williams at Stafford. To give you an example of a typical week for Butova, on Tuesday he was trying to scale the SK of Williams, Wednesday he visited Waterbury to get the Jenson Brother's MRS Modified scaled and setup for Stafford, who had a MRS race that week for Williams. 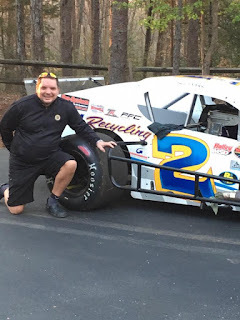 Thursday Butova was on his way to Long Island to get Bertuccio's modified ready for William's who was going to make his Riverhead Raceway debut that Saturday Night. Friday Night was his normal stomping ground of the Stafford Speedway. 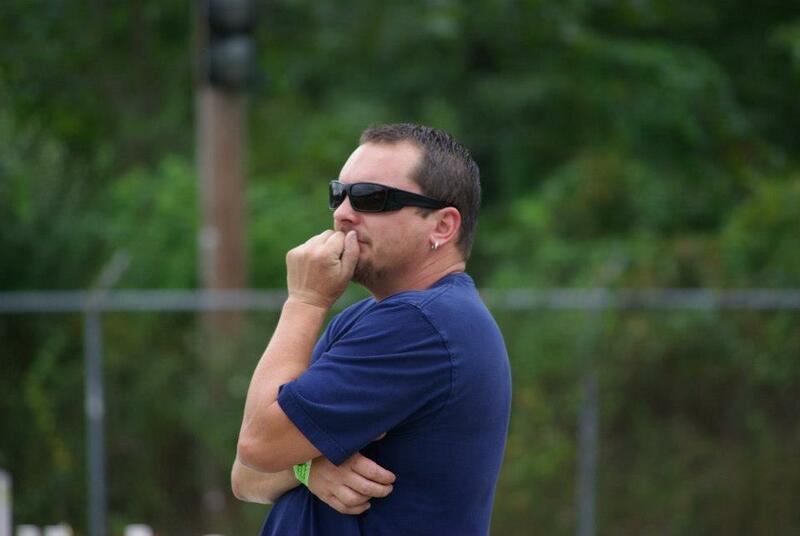 He had Williams two rides(the SK Modified and the MRS Mod)plus the two SK Modifieds of Avery and Reen. Saturday it was back to Long Island and the Riverhead Speedway and his week ended up at the Thompson Speedway (who had a special Sunday Show). "Theres alot of traveling for me, its a very demanding life and during race season I don't have a life," noted Butova. This year is no different as Butova has over 50 races on his schedule. "That's not even as a race fan but as a Crew Chief, so you can see how demanding a schedule like that can be", finished up Butova on his 2017 season. With all the success Butova has at many tracks there is one track that puzzles him and still has a strangle hold on him. 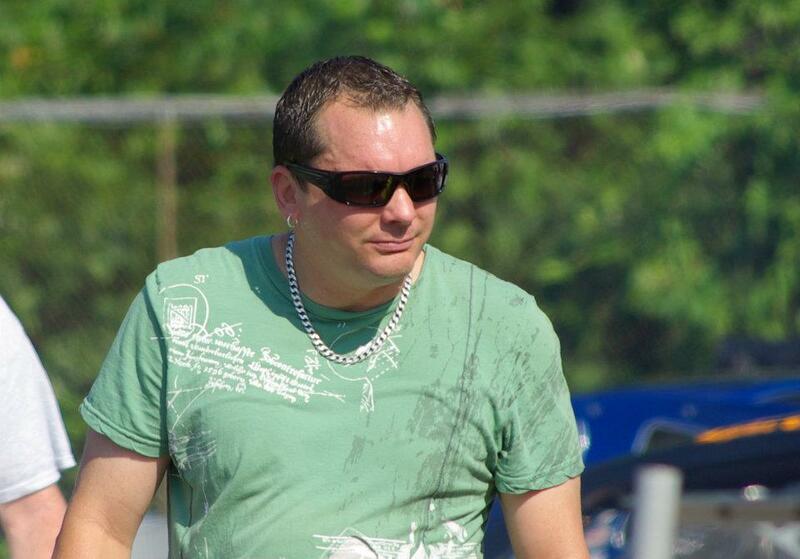 "Seekonk Speedway has to be my worst track. I have never gotten a car to get around that track. I don't know why, but it just doesn't work out for me," said Butova. Butova is going to have to find that magical setup as Williams is entered in a couple of races there in 2017. With working with many types of modified which one does he like working with the most? "It has to be the SK because you go to the same track on a weekly basis. The track might change a little because of weather conditions but in that aspect the SK's are. The touring stuff becomes more demanding as now you throw Pit Stop strategy and tire wear brings in a whole different element," said Butova. "I've made a good living just in the SK division. That works good for me and that's what I like doing," finished up Butova. Butova's forte was always working with the young driver's and how he handles them. "What you want to do is when a young driver gets in the race car he really has no idea. For me I like running soft springs in the front, for example that's all Ronnie knows as a driver and he gets it.Then you take another type of driver in JR and put him in a car with soft springs he wouldn't like it because he knows the springs are soft and its going to feel weird for him cause he's not use to the feel. So the younger driver's coming in you want to build him your way and they will only know that feel which makes it easier on you as a Crew Chief," explained Butova. I wanted to test Butova at this point and gave him the chance to pick a track and car to set up and have a positive output at. "I would choose Stafford any day. Stafford is my favorite track. Stafford for many is a tricky track, for me its my best. I'd take a Troyer or a CD car and take it to Stafford any day of the week," responded Butova. In racing you usually have two types of races, the basic shootout and the extra distance event. I was interested in what type of event Butova liked. The response took me by surprise after listening to his answer. "I love the longer races. I've won five 150 lap races between Stafford and Waterford as a Crew Chief. Matt Buckler calls me MR 150 when he sees me. As a Crew Chief I like it when you can pace yourself as a driver. It also makes it easier when you can come down pit row and make adjustments and especially knowing what your going to need at the end of the race. I've worked with Frank Ruocco for allot of years and he was a master of the long races. He knew when it was time to go and when it was time to back off, he was the most patience driver I knew. It made my job easier when you have a driver like that," explained Butova. Being a Crew Chief you have to be faced with an obstacle that puts a wrench in the job for Butova it's the rule changes that makes it a little difficult. "Lat year at Stafford we ran cambered rears, they made a rule change with a couple races to go that you couldn't run them anymore. We had to scramble at the last second looking for tubes to use in the rear, it made it hard at the time. Also the tire rules changes allot and it makes it difficult. Sometimes things are out of your control. You can cut tires in accidents you didn't belong in. That makes it tough but that's the way of the sport today. 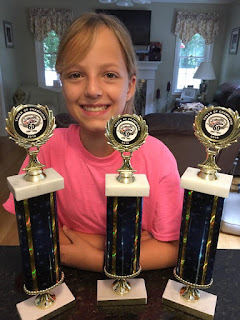 Technology is changing so fast that tracks are trying to keep technology out of the track, All you can do is work with the changes and working with a funded team and keep up with all the changes, that's all you can really do," continued Butova. 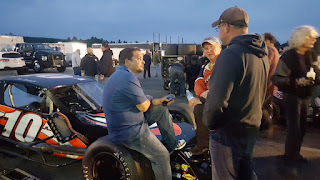 Talking with Butova about this years Spring Sizzler event and the two compounds the NWMT teams could use "Hard or Soft" Butova liked that idea and explained why. "Allot of the tracks and people are trying to go with the softer compound, I just don't think that's the answer and the way to go. You just can't race and that's how you get the single lane racing. Nobodies car races good with the soft compound. If you race hard you start to lose your tires and start to back up. Myself I like the hard compound, I always went well with them. You can go back to how racing use to be like and race and not having to be conscious on the tires or even trying to save them. That's not a good receipt for the fans. Face it allot of times a driver gets caught up on the high side and can't get back in line and use up your right rear and I'm glad the Tour did that deal with the right tire, I liked that change the est," commented Butova on the tire rules. Strictly Stocks, SK Mods or the SK Lights and even the Touring Series there is allot of work out there and at this point Butova has been turning people away. "Even with the two xtra SK's at Stafford after I know Ronnie's car is good I'll make my way over and give my input to the Avery and Reen Teams. They have guys to make the changes to the cars if needed so I'm not really worried about them," said Butova. To be the best you have to hire the best like a Crew Chief of Butova's caliber. People are seeing this in Butova and if you can turn away work and still be successful is a plus. It's not always the work but the passion of the work for Butova and if you see Stash talking with others in the pits you might want to carry a recorder or join in, to say you'll learn something is an understatement. Photos from Stash Butova's Facebook Page.